Thank you so much for the generous donation of £1540.71, which we are delighted to have received from your Just Giving page. Your fundraising efforts will make a significant and lasting change in the lives of the people we work with. Please accept this letter as an official receipt. With your support, Sightsavers has now been able to perform over 9 million operations to prevent blindness and restore people’s sight, train more than 2 million health care professionals and volunteers to extend eye care services to communities, and distribute an incredible 500 million treatments for blinding conditions such as river blindness. This is only possible because of the generosity of people like you. Laurinda, a single mother from rural Mozambique had completely lost her sight from developing cataracts in both eyes four years ago. She had become reliant on her 15-year-old daughter Aida for everything: from looking after her other children, to earning a living and making sure the family was fed. With the help of an incredible sight-saving team, Laurinda began her journey from blindness to sight. It was a journey that touched us all. You can read more about Laurinda’s amazing story and the progress of our ‘million miracles’ campaign on http://millionmiracles.org/. We are immensely proud of the numbers of people we’re able to reach. With your support we can continue our mission to restore sight and prevent blindness from conditions such as cataract and river blindness; allowing people to live independently so they can support their families and give them hope for the future. 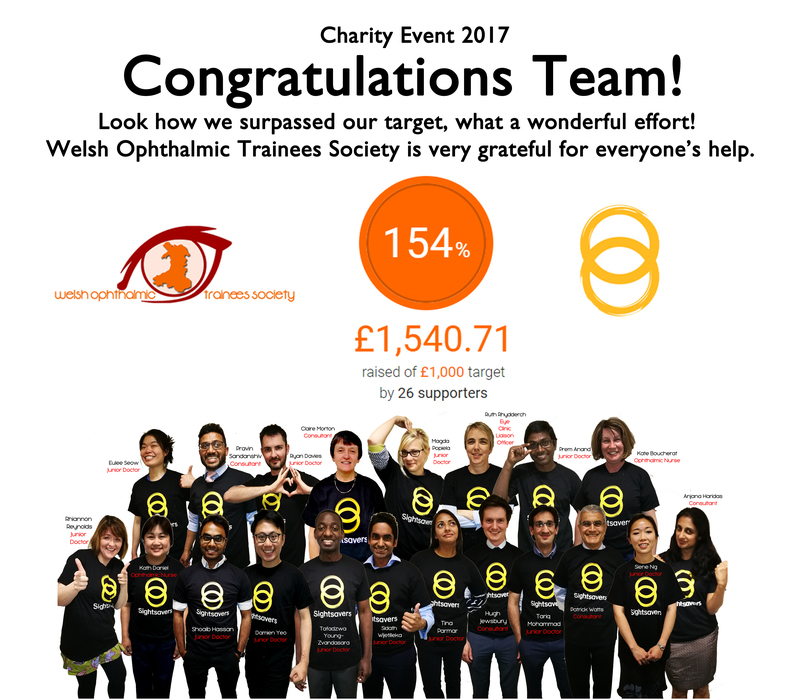 With sincere thanks once again and best wishes to all the members of Welsh Ophthalmic Trainees Society and all those who contributed to your fundraising.